On Veteran’s Day weekend, the 11th Warrior charity event will take over Clearwater Beach. It is a weekend long event where some of the top CrossFit athletes, including the winners of last year’s CrossFit Games, Mat Fraser and Katrin Davidsdottir, will compete with veterans and CrossFit athletes in several competitions, workouts, and a volleyball tournament. The CrossFit games find the Fittest on Earth and the toughest athletes around the world. All proceeds of the event will go to Companions for Heroes, an animal rights and veterans organization. About 20 UT students regularly attend Cigar City CrossFit and are participating in the fundraiser. Jamie Ferree, a senior public health major, attends Cigar City CrossFit and loves being a part of a community bigger than herself. 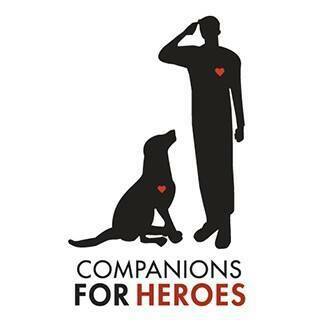 Companions for Heroes, which receives the profits from the 11th Warrior charity event, takes sheltered animals and trains them to be service animals then pairs them with those suffering from PTS. This pairing not only saves sheltered animals’ lives but aids those recovering from serious disabilities. Ben Bunn, co-founder of Cigar City CrossFit with Mike Verdi, had recently become the director of operations for vendors and merchants for the event when the founder of Companions for Heroes, Erik Backit, contacted him looking for possible locations to hold the event. Having served in the military for 16 years, Bunn suffered from about eight severe concussions and as a result, suffered from occasional seizures and secondary effects from his service, including trouble sleeping, anxiety, and PTS. Having the opportunity to help a cause close to home is an opportunity he didn’t want to pass up. Bunn and Verdi decided to take helping the charity one step further. Throughout the month of November, several gyms throughout the Tampa Bay area, including Cigar City CrossFit, SOHO Cycling Studio and Orange Theory Fitness, are participating in a fundraiser to raise money for Companions for Heroes. Every time someone checks into the gym on Facebook and uses the hashtags #checkinforcharity and #c4h, the gyms will donate one dollar per check in. Bunn’s goal is for the Tampa Bay area to raise $15,000.